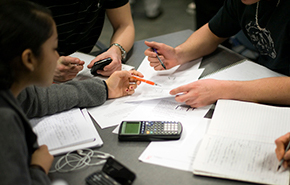 The MIT Registrar’s Office is a key point of contact for students, faculty, and staff on topics ranging from exams and grading to class lists and limited-enrollment subjects. Institute subject evaluations provide students with an avenue for feedback on their classes and instructors and give faculty and departments the opportunity to assess and improve their offerings. We also work closely with Faculty Governance to ensure that term rules and regulations are followed. Learn about grading policies and the various grading options available to you. Understand exam policies and view the current term’s final examination schedule. Evaluate your subjects and view subject evaluation results. Use the Enrollment Tools application to set up waitlists and limited-enrollment subjects. Class lists and prerequisite reports can help you plan for the term and manage enrollment.